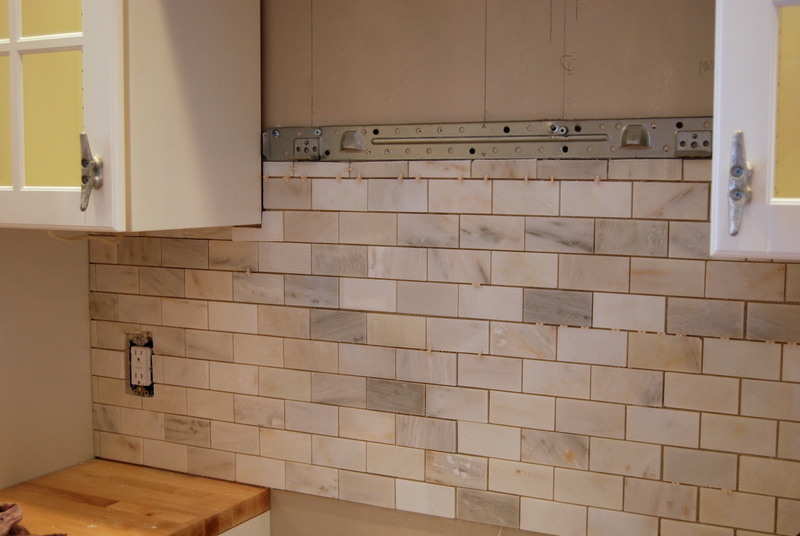 Are you getting sick of our kitchen remodel yet? I’m not! It’s getting better and better every day! 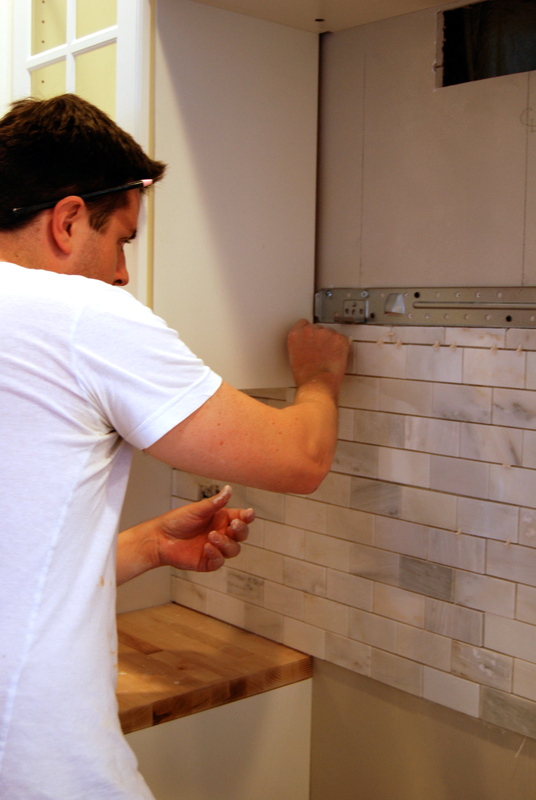 After tiling the entire bathroom, Jared brought his mad tiling skills to the kitchen. 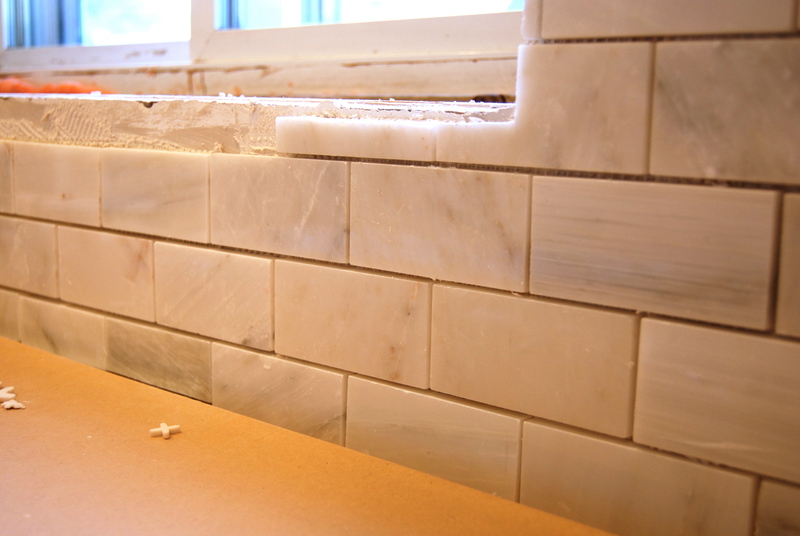 We purchased these 2″ x 3″ beautiful marble tiles from the Tile Shop. They have subtle blue, green, and grey tones that look gorgeous next to our white IKEA cabinets. 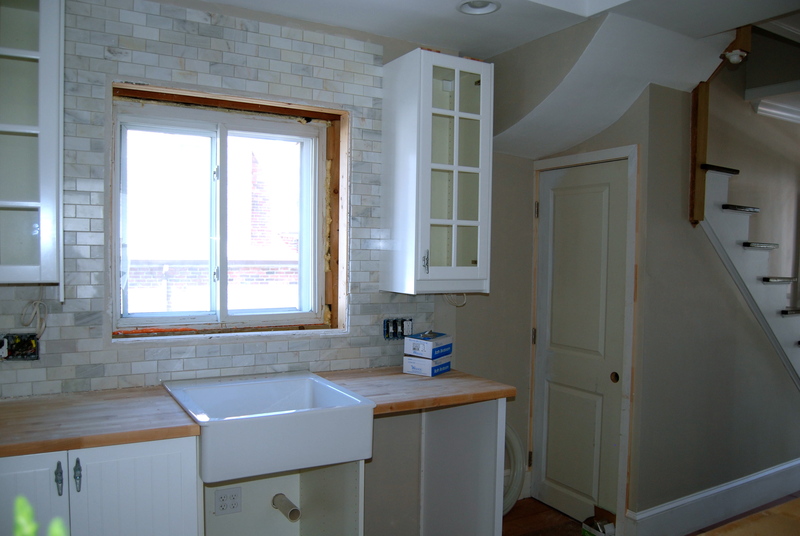 We carried the tile all the way up the wall around the kitchen window for a big impact. The window will be trimmed with the same rosettes and belly casing as the rest of the house but have a large sill made with the same butcher block as our countertops. 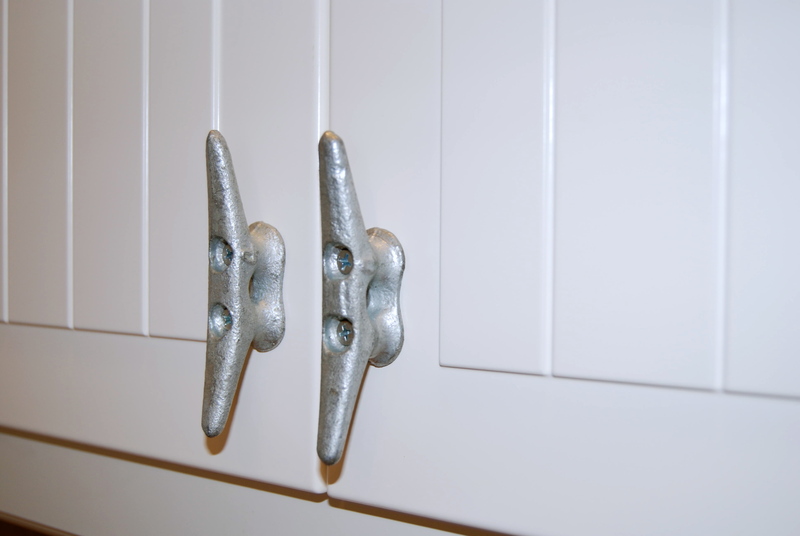 And did you catch the cabinet hardware? I’ll forever be receiving marine catalogs thanks to my order of 38 four inch galvanized steel boat cleats. But they’re super cute and really functional. Again, it’s all about textures. I love the rigid steel next to our sleek white cabinets. Plus, if anyone needs to dock a boat by our house, we have a couple tie ups available! 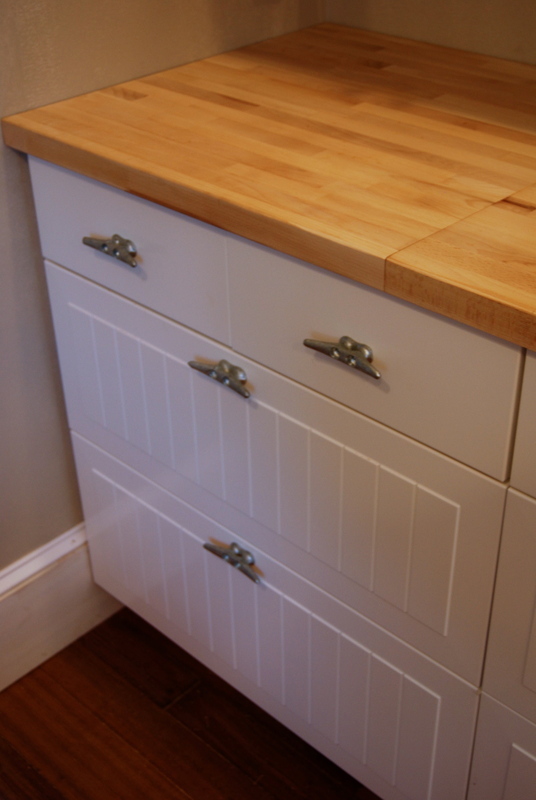 This entry was posted in Decor and tagged home improvement, kitchen, renovation, tile. Bookmark the permalink. Your splash back tiles are gorgeous and the kitchen handles are a very clever variation from the norm. What a great idea with the hardware! That tile is stuh-ning, I’m so jeal bell over here. My kitchen could not be anymore boring, but doesn’t require an update. Keep posting about your kitchen so can get excitement from somewhere. And I’m so stealing the term ‘jeal bell’! That’s right up there with ‘cray cray’ or ‘amazeballs’. Haha. Julie – no one is getting tired of your kitchen posts! I guess because you have the same taste as me – you can slow down and show more pictures.